Executing a secret plan that Bitter Winter revealed one month ago, the CCP brings to Korea relatives of asylum seekers of The Church of Almighty God and organizes false “spontaneous demonstrations” with the help of pro-Chinese anti-cult activists. 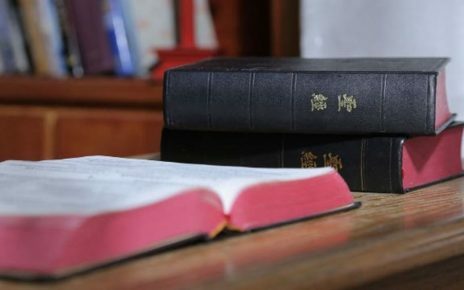 On August 4, 2018, Bitter Winter published a secret document by the Chinese Communist Party calling for harassment in South Korea of the asylum seekers of The Church of Almighty God (CAG), a Chinese Christian new religious movement heavily persecuted in China. The CCP called for the recruitment of the relatives of the asylum seekers who still live in China, if necessary through threats and coercion, who would then call for the “return home” of the refugees (who obviously would not return “home” but, once in China, will be arrested and will thus “return” to jail). The plan also sought the cooperation of pro-Chinese activists in South Korea and anti-cultists hostile to the CAG. Bitter Winter has now learned that the CCP’s plan is being put into execution. 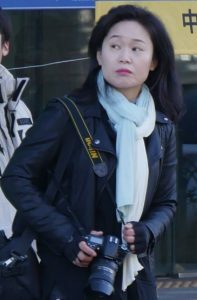 On August 27, Ms. O Myung-ok (吴明玉Wu Mingyu), a pro-Chinese and anti-CAG activist, published several reports on some pro-Chinese and/or anti-cult Korean media, including Religion and Truth, releasing fake news claiming that CAG members are false refugees and are abusing the refugee system, and that the belief in Almighty God leads to family disruption. These reports strongly called for the deportation of CAG members back to China. 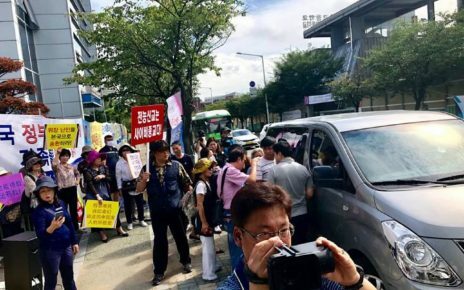 As these media disclosed, between August 30 and September 4, more than 50 people, including a dozen of family members of CAG refugees who are in Korea, and congregants from five Korean Christian groups active in campaigns against “cults,” will demonstrate against the CAG outside the Jeju court, Jeju Parliament, the CAG community in Onsu, the CAG worship building (i.e. the place where CAG members offer prayers regularly), the Blue House (Cheong Wa Dae, the executive office and official residence of the South Korean head of state, the President of the Republic of Korea), and other places. They held a press conference on August 31 as well. All this information has been confirmed by confidential sources in Korea and by CAG members Bitter Winter interviewed. Another Korean CAG member and her husband, who are Korean Chinese, fled to Korea because of the CCP’s persecution in China. On August 29, when she made a phone call to her mother, who lives in China, she was told that her mother and cousin (male) would come to Korea to visit her and that they were waiting for the plane flying to Jeju at the moment. The CAG member told her mother that they live in Seoul and asked her to fly to Seoul directly. But her mother said she couldn’t do that since they had to stay in Jeju for two days and then go to Seoul later as scheduled, and that their hotel rooms in Jeju had already been booked. The CAG member noticed that her mother hesitated over talking and even left to her cousin the conversation when she couldn’t make herself clear. It is important to note that this cousin is working for a governmental television station in China. On the afternoon of August 30, Ms. O Myung-ok went to the airport to pick up five cameramen (three males and two females) flying from Seoul. As far as we have learned, some 15 Chinese relatives had arrived in Jeju, while Chinese officers are also coming to Korea to direct the campaign on site. According to their agenda, on August 31 and September 1, they will stage demonstrations at the Jeju court and the Parliament building and organize press conferences; they will stage demonstrations at the CAG community in Onsu on September 2, at the Blue House on September 3, and at the CAG worship building on September 4 respectively. When CAG refugees learned that their family members were coming to Korea, they asked to meet them as soon as possible. So The Church of Almighty God contacted the Korean police on their behalf, asking for help to arrange meetings with their family members. 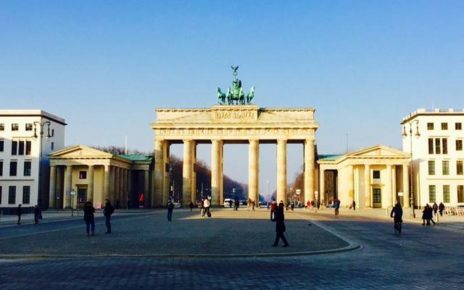 When the police contacted Ms. O Myung-ok, she said she couldn’t let them meet each other until they finish the demonstrations and press conferences. We have learned from informed Korean sources that Ms. O and the CCP claim that The Church of Almighty God is trying to prevent its members to meet their relatives coming from China to Korea. This is not the case, and in fact, it is Ms. O who is preventing the relatives to meet the CAG members. Obviously, the CCP and the anti-cultists are interested in their propaganda rather than in the welfare of the families. Nine international NGOs specialized in the defense of religious liberty, including CAP-LC, which has consultative status at the United Nations’ ECOSOC, have signed an appeal (below), dated August 31, to end this ruthless persecution of harmless refugees, strongly condemning the actions of both the CCP and the Korean anti-cultists.